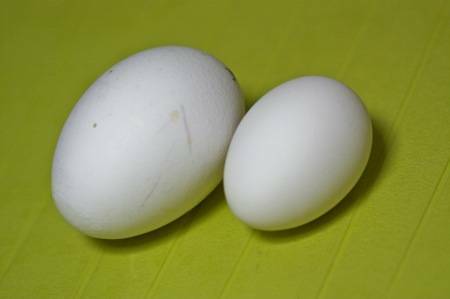 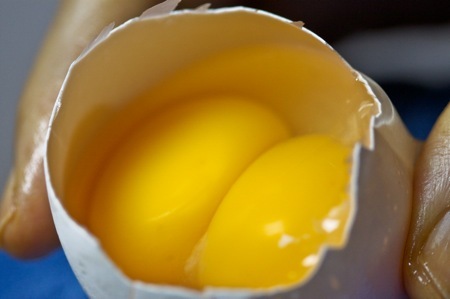 Size difference between single and double yolk eggs. 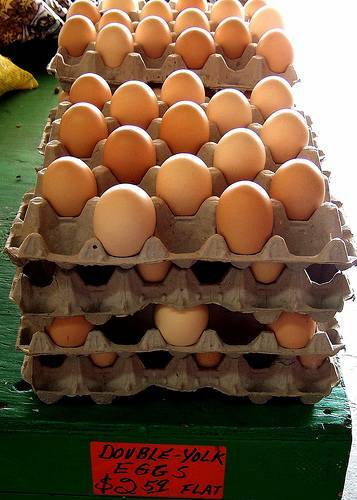 Let us proclaim the mystery of eggs. 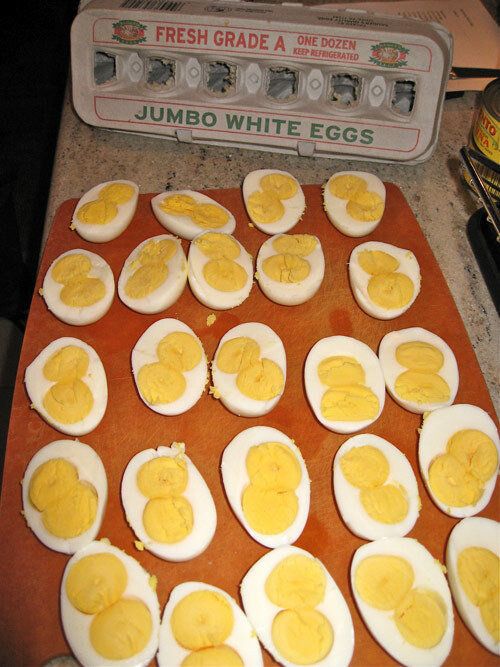 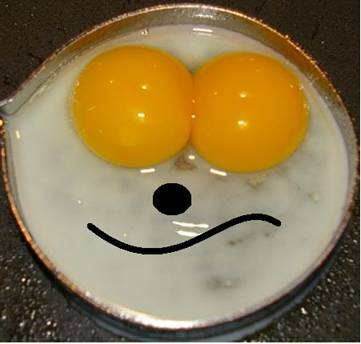 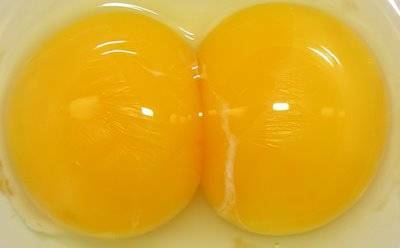 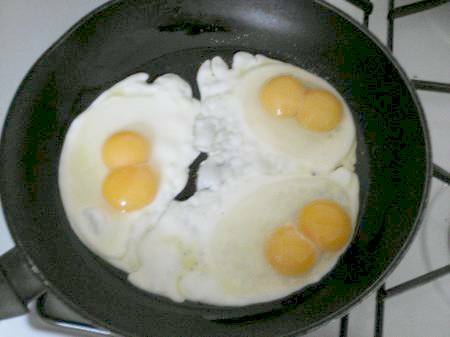 So would a double yolked egg produce twins?